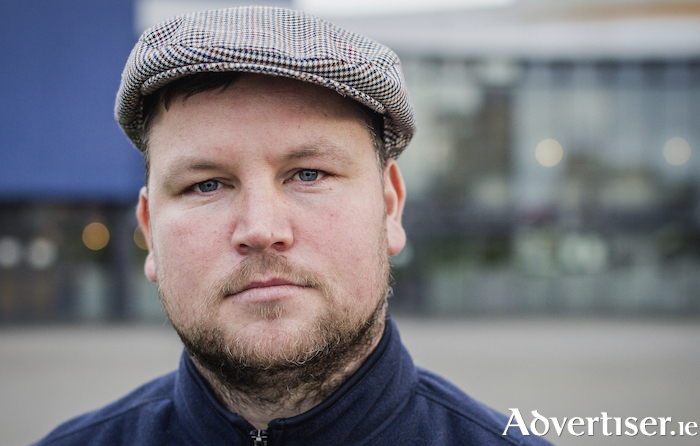 John Connors, star of Love/Hate, brings his acclaimed one-man show, Ireland’s Call, to the Town Hall Theatre next week. His debut as a playwright, it has been called "cathartically honest’" by The Irish Times, which also praised Connor’s "charismatic" performance. Connors' interest in writing goes back to his schooldays. “When I was a kid I used to love writing essays and I was pretty good at them, it was my strong point in school,” he reveals. “So I’ve always loved writing and when I got into acting I started writing for characters. The first thing I wrote which was put on screen was Stalker and then there was Cardboard Gangsters and I have been writing other stuff since. John outlines the content of the play; “I tell the story through the main character, James. He has grown up as sort of a reject; his mother and father were heroin addicts and died during the AIDS epidemic. He has grown up with that stigma attached to him. His two best friends are also rejects; one of them is called English because he was born there and came back when he was two, but he has that inferiority complex from not being born in Ireland. The third friend, Pato, has a Nigerian father and Irish mother and has that stigma as well. Prior to taking up acting John was a champion amateur boxer and he is currently working on a film about Irish boxer Joe Egan, a former sparring partner of Mike Tyson. “Big Joe Egan was from Ringsend and was called ‘The toughest white guy on the planet’. He sparred with Tyson for 18 months and was never knocked down by him. I’ve been training for the role and been on a strict diet and I’ve dropped three stone since January. Ireland’s Call is at the Town Hall Theatre on Monday March 4 at 8pm. Tickets are €18/16 from www.tht.ie or 091 - 569777.